Bamboozled March 29, 2019: Is an expensive college worth the cost vs. a state school? 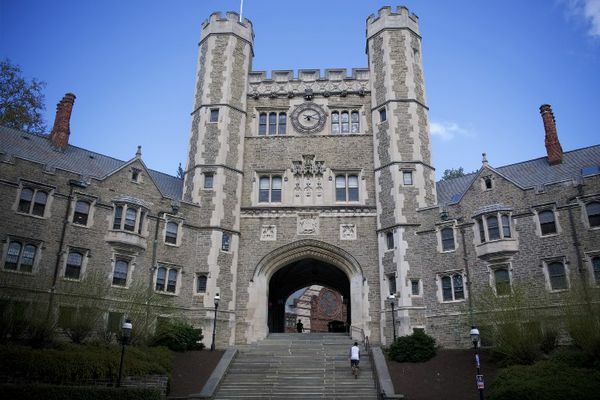 The campus of Princeton University. It’s almost time to make the decision. Students across New Jersey have received most of their college acceptances by now – Thursday was “Ivy Decision Day” – and students have until May 1 to commit to the college where they will spend the next four years. Choosing a college – and analyzing the real cost – is one of the hardest decisions students and their families will ever make. It’s happening in our house right now. Our high school senior is balancing his options: fat scholarships from state schools or leaner offers from more expensive brand-name colleges. It’s easy to say you should take the money and run. That’s because one in four Americans – 44 million of us – have nearly $1.5 trillion in student debt, according to the Federal Reserve. On average, the monthly student loan was $393 in 2016, up from $227 in 2005 – and that doesn’t count loans that are in deferment. Then there’s the opportunity question. Do the Harvards, Columbias and Princetons of the world open doors a state school simply can’t? Upon graduation, will employers and grad schools consider a 4.0 from a state school to be as impressive as a 4.0 from an elite university? We asked three experts their opinions on the questions New Jersey families are asking. Sara Harberson was the Associate Dean of Admissions at the University of Pennsylvania and the Dean of Admissions at Franklin & Marshall College. She speaks and writes regularly about college admissions. She runs five “Application Nation” groups (a private Facebook program for parents of college-bound students), SaraHarberson.com (where she works with private clients) and AdmissionsRevolution.com (a free online website full of videos, resources, and guides). Jim McCarthy is an independent certified financial planner who has been working as a financial professional for over 20 years. He says he believes financial planning is about a person’s values and not just their money. With three daughters and three grandchildren, McCarthy has been through the college process plenty of times. His firm, Directional Wealth Management, is in Rockaway. Claudia Mott is a certified financial planner and certified divorce financial analyst who started out on Wall Street. By working with her clients and as a mom to three adult children, she’s had plenty of experience with the college process and how to find the right fit – financially and otherwise – for soon-to-be college students. Mott’s firm, Epona Financial Solutions, is in Basking Ridge. Q: Does it really matter what college a student attends? Harberson: After 20 years in the field of college admissions, I know better than to tell a student that one college is better than another. It is such a personal decision. Many times we believe that it is the college that propels us forward. But in my opinion, it is the student who propels themselves. Certain colleges pave a smoother path for us. Yet any of us can make things happen for ourselves. The more potholes and detours there are often prepare us better for what lies ahead. I have always believed that it is not where you go; it is what you make of the opportunities you are given. While brand-name colleges can impress others initially, they can only carry you so far. In many ways, the brand-name college graduate has a whole lot to live up to. It’s the quality of your work and the integrity of your approach that ultimately are the difference makers for most of us. McCarthy: That depends on what the student plans to study. Some very specific fields (i.e. bio-mechanical engineering) are probably best studied at a school that has a focus on that area of study. Otherwise, the student’s future career is determined more by how they apply themselves in school than the school where they study. Q: Does that change if the student plans further education such as law or medical school? Does coming out of the Ivy League benefit the student more than coming out of a state school? Harberson: Coming out of Harvard has a lot of cache in the business and educational world. It’s like having a magical aura around your law school, med school, or any graduate school application. It can definitely give a student a boost in the application process for professional/graduate school or any job. It might make it easier to get your foot in the door, no doubt. However, once you walk through the door, you have to prove that Harvard degree was worth it just like everyone else. McCarthy: Not necessarily. I have a client who went to a New York State undergraduate school and then a small medical college in New York. He is now a very successful anesthesiologist at NYU Medical Center. Again, it’s more about how the student absorbs the education than where that education is received. Mott: The admissions process for post-graduate programs relies heavily on test scores, academic achievement in college, recommendations and extracurricular activities. However, the undergraduate school’s reputation may factor in when it comes to the perceived quality of the candidate’s grades and coursework. A school known for an easy curriculum may cause a candidate to be looked on less favorably when compared to another candidate who attended a more rigorous program. Q. Money matters. How can a student determine the REAL cost of attendance? Harberson: The real cost of attendance is always more than you think. Net price calculators on college websites are notoriously inaccurate. A new platform designed by a Wellesley College professor, MyinTuition.org, appears to be more user friendly and more reliable. Not all of the colleges are using MyinTuition just yet, though. In the meantime, families must consider much more than “room and board,” books, and health insurance. For example, if the college has an unusual academic calendar, that can also impact the cost. It’s important to follow up with a financial aid counselor at each college to know the hidden costs that you weren’t expecting. Mott: The cost of college extends well beyond tuition, room and board. The purchase or rental of books, computer equipment, outfitting a dorm room or apartment and extra curriculars also need to be added into the equation. Joining a fraternity or a sorority comes with an annual renewal fee, dues, and expenses for activities or charitable endeavors. Another expense to consider is the cost of food that is not provided by a meal plan. Most college students will not eat and drink everything on campus and an allowance needs to be determined for this as well. Transportation to and from school for breaks and holidays should also be considered when determining how much it will cost to attend a school. Will it require airplane travel, a train or bus ticket or a car ride and how often will this take place? Q: How can a family decide how much is too much in student loans? Harberson: Student loans can be crippling to a young college graduate. They stick with you much longer than jobs, titles, and even professions which change much more these days. One must consider what path they plan to take after college and understand that if they choose another path that is financially less prosperous, they will need to make adjustments in terms of personal and financial goals. Identifying loans with very low interest rates is one of the only ways to control your financial future. McCarthy: That is a function of the family’s financial situation, the number of children in the family, the earning potential of the student based on their area of study. I recommend every student apply for the basic Stafford loan, even if they don’t need it. Number one, this makes the student have some “skin the game” as they will be personally liable to repay the loan. Number two, it will begin to build a credit history for the student, which will be beneficial once they graduate. Number three, these are U.S. government backed loans that have flexible repayment plans. I recommend avoiding private loans if at all possible. Mott: It’s important to understand the value of the future payments that will result from the loans that are being considered and how that fits into a family’s ability to pay. For parents, taking on a debt that jeopardizes their ability to save for retirement or manage their monthly bills within their earnings capacity should be considered too much. A student needs to understand the trade-offs that taking on a large student loan burden will mean for them in the future. The total payment can be the equivalent of a car loan, rent or a mortgage, all of which may need to be put on the back burner while loans are paid off. It’s important for a student to understand both the obligation they are taking on and the sacrifices they will have to make as a result. I don’t know if those giving out loans provide any counselling to help someone visualize the length of time it will take to pay off the loans and the monthly all-in cost. Interest that accrues over the life of the loan adds to the overall cost of the education. Q: What about students you know? Did they take the state school or the brand-name, and were they happy with their decisions? Harberson: I have students who have chosen both paths for different reasons. It’s interesting, though, once they get settled into college, that other school they were considering often becomes a distant memory. One of my former students is a Jefferson Scholar at the University of Virginia. She turned down Ivy League choices and Ivy-type colleges to attend UVA on a full scholarship. She has the benefit of this tight-knit group of other Jefferson Scholars who chose the same path as her, yet she has the benefit of an extraordinary university that offers her more than she could have imagined. I have another former student who attends Harvard. She can’t imagine being anywhere else and neither can I.
Mott: I can only speak from personal experience. My oldest kissed a $19,000 a year merit scholarship from Northeastern goodbye and opted for Worcester Polytech (WPI), which offered $9,000. He wanted to play soccer and WPI gave him that opportunity, along with a great engineering education. He loved WPI and probably would not have anywhere near the same experience at a school the size of Northeastern. Q: Can you negotiate? Will a state school’s scholarship offer be considered by a brand-name school? Harberson: Negotiation is a bad word in the eyes of financial aid officers. However, that’s the reality even if they don’t want to use that word. I have seen tremendous success stories when a student is comparing very similar colleges with the same financial aid philosophy. For example, if a student gets a $10,000 scholarship from one college, but only $8,000 from a popular competitor or “overlap” college, they should share the $10,000 offer (in writing) with the overlap college. Oftentimes, the overlap college will “come in line” with the other offer because they don’t want to lose a student to one of their biggest competitors. With need-based aid, it is trickier but still possible to negotiate. Again, the colleges have to be “similar” and have the same approach to need-based financial aid. If an Ivy League college offers a need-based award of $25,000 and another Ivy League college only offers $20,000 in need-based financial aid, the student should provide the other offer in the hopes that their top choice will “come in line” with their more generous offer. Q: What about starting at community college to save some bucks? Harberson: Families don’t hear about the students who attend community college and then go on to transfer to a brand-name college. But these students exist. They are usually known for the four-year college that grants them their degree and not the two-year community college they attended. But those first two years can be instrumental in saving money and getting the highest grades they can get. Brand-name colleges love a good story about a community college student whose life is transformed when they arrive. Just be aware that not all brand-name colleges offer a lot of financial aid for transfer students. Make sure to ask whether their generous need-based financial aid for freshmen is exactly the same for transfer students. There will be some colleges that rely on “full pay” transfer students so they don’t have to dig into their financial aid budget. Mott: Community college can be the perfect transition for some students. It’s affordable for those that don’t have the ability to pay for a more expensive program and can be used as a stepping stone to a four-year program. Don’t we all know someone who had a student that didn’t make it through freshman year for any number of reasons and ended up coming home? Community college can provide a perfect transition from high school to a four-year program down the road. It gives students who are undecided on a major the opportunity to get introduced to the college experience without risking tens of thousands of dollars. McCarthy: It’s a great strategy and becoming a more accepted approach. The most important issue is to research how the four-year school treats transfer of credits from the community college. Before the elite school decisions came in, our kid was ready to take a full ride, with extras, at a well-regarded state school in a neighboring state. Then he was accepted to four brand-name colleges – not Ivies, but what my family calls “almost Ivies.” He’s not a college athlete or a legacy, but they all awarded some money, with the most generous covering about half the tuition, fees and room and board. Still, the all-in cost would be between $130,000 and $220,000 over four years, depending on the school. Our college savings would cover two years, or less, of the cost. The choice between graduating debt-free versus paying a whole lot for an “almost Ivy” was compelling for our kid. He’s leaning heavily towards the full ride, in part because it means he can use our college savings to pay for law school. We’re adding one more visit to one of the “almost Ivies” – just to be sure – and then he’ll make it official. Tell us about the choices your family has faced – and your decisions – in the comments section.